It was a result that has been possible over the last couple of years starting from the moment Bolt avoided a 100m scare at Beijing 2015. But its a result no fan ever wanted to see. After many runner-up finishes and picking up silver medal after silver medal, a two time drug cheat finally achieved his 12 year goal to win a second 100m world title against the best sprinter that has ever sprinted on the tracks. Gatlin received hurtful boos around the London Stadium with the leaderboard flashing the American’s name as the winner. The new world champion reacted to the aggressive reception by raising a finger to his mouth displaying a silent to the doubters. 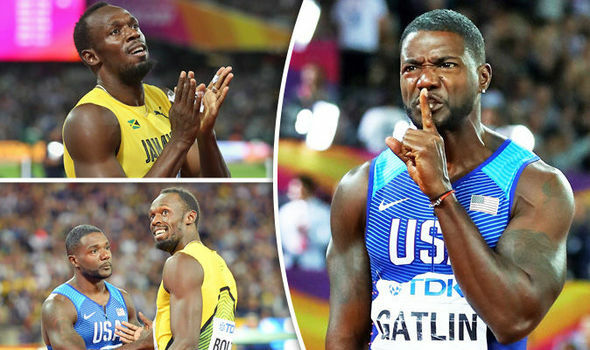 Gatlin had overcome his haters and felt top of the world. 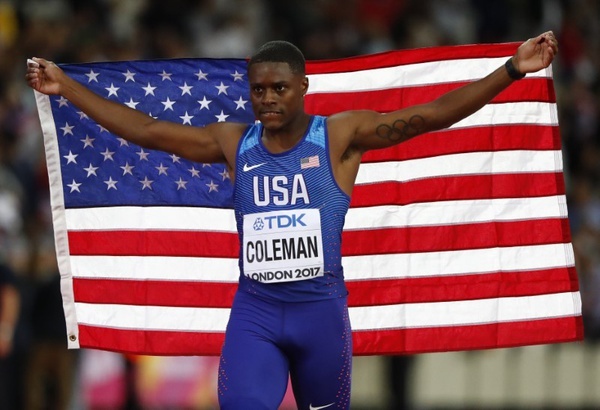 Every supporter of the lightning Bolt did not feel electric discovering the decorated Jamaican not only was beaten by Gatlin but also a much younger face, Christian Coleman, picked up the silver medal in his first ever appearance at a world stage. Any sprinter’s motive is if you want to become world champion you have to beat Bolt to the finish line. Amazingly in this upside down scenario Coleman did enough to beat the defending champion but was not faster than his fellow American. As being one of the 60,000 who was lucky enough to have a ticket for the biggest event on the world athletics schedule. The unscripted end to the race was a big surprise despite having doubts of Bolt winning another race. When watching and reading people’s reactions to the race it is understandable to why there are a lot of unhappy fans. Millions around the world watched a two time drugs cheat take away the chance of Bolt winning a 20th gold medal in his final individual race. It is not a good image to the sport, it is not a good image to the future athletes of this sport and it is not a good message to spread. 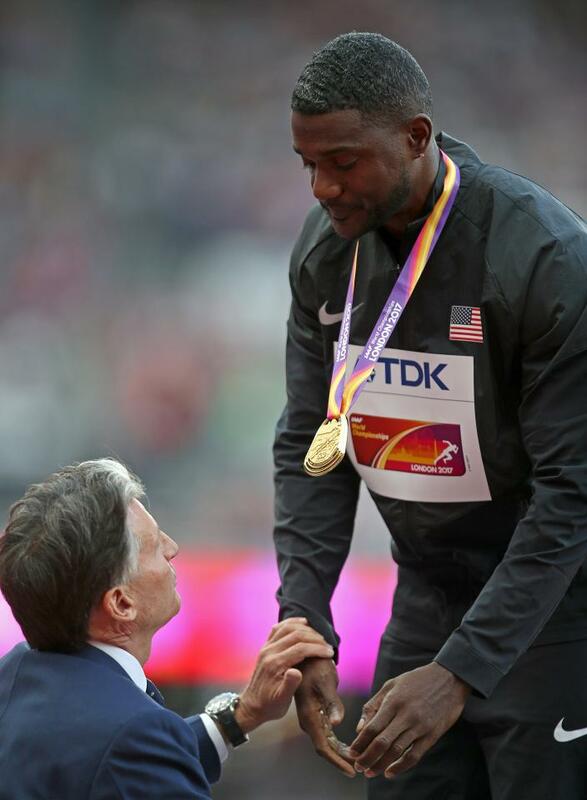 The message for many could suggest that if you ever end up in Gatlin’s situation of receiving a ban but not a life time ban, there is still the possibility of making a return in a bid to win the biggest titles on offer. What many will take into consideration is Gatlin should have been given a lifetime ban especially after the second occasion of failing a drugs test. Not once but twice. The athletics governing body, International Association of Athletics Federations (IAAF), apparently could not hand a ban which would leave all doors closed for the rest of Gatlin’s career and we would not have even reflected on the American adding to his world title success in Helsinki 2005. Gatlin is not the only athlete to be in trouble for drugs cheating. Gatlin is however the most prolific in the cheating category because of the events he competes in and they attract the most views. He has been described as the ‘villain’ and when going up against his rival Bolt, the meet up has been called ‘good versus evil’. The last few years has been very ugly for the history of athletics including the doping in Russia where the IAAF banned the country’s athletes from competing at the Rio 2016 Olympics. Gatlin is not the only cheat in athletics. There was no bad reception given to other convicted drug cheats so far in London 2017 due to the lack of publicity and media coverage. When watching Sunday morning’s session, one of the events was the heats to the 3000m steeplechase. Two competitors also had a past of cheating in the sport but just like Gatlin they have been able to make a return. There was no negative responses to the two steeplechase athletes. Some forget when Bolt first appeared in the capital at the London 2012 Olympic Games, Gatlin received cheers from the crowd despite his history. The boos had arguably only started towards Gatlin when he was becoming more of a threat to Bolt. 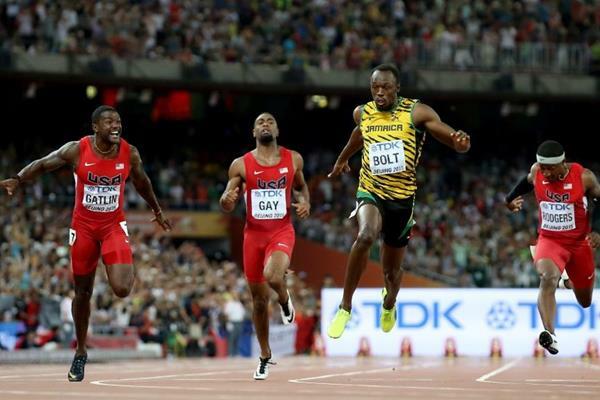 Fans of the Jamaican did not like the chances growing higher and higher of his rival denying Bolt more success. 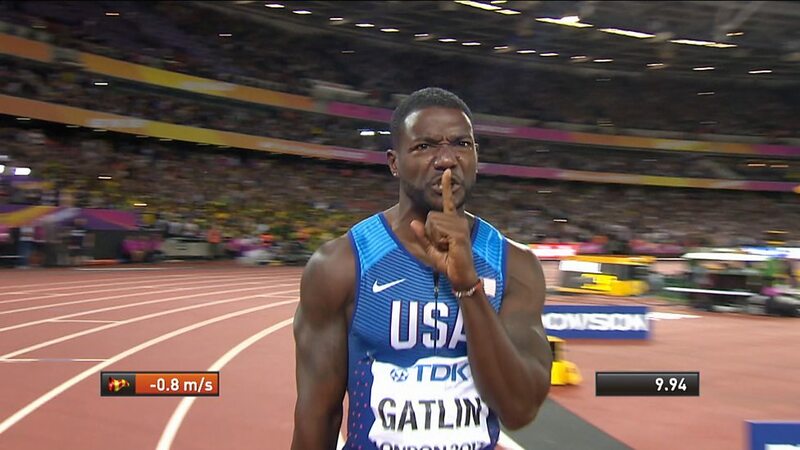 At the 100m at Beijing 2015, Gatlin was a favourite to cross the line first and this is when the boos at him began. The predictors were almost correct as Bolt’s lean won him the race, just. There is some credit where it is due for our new 100m world champion. First of all many athletes with a reputation like Gatlin’s could easily walk away from athletics and hide away for good. But Gatlin, since his return in 2010, has been clean ever since and has worked very hard at getting back to the top after so many defeats at the worlds and Olympics to Bolt. One other thing which is easy to forget is Gatlin being 35, five years older than Bolt. To keep up with a champion’s pace and to even beat the king of the track is a superb effort. 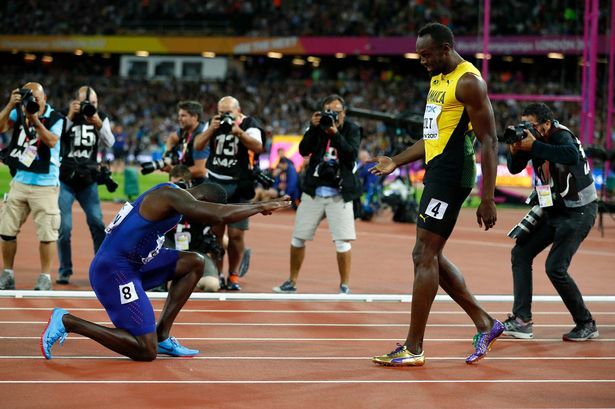 To top it all off was Gatlin’s gesture to Bolt. Seconds after celebrating his second ever win over Bolt the American bowed down to mark his respect to an athlete he has struggled to crack until the very final chapter of the fastest man in the world. It is not Gatlin’s fault for still competing after serving two bans. It is the governing body who should be questioned for not doing more to try and have access to give athletes who have cheated to be given a lifetime ban. Gatlin was given a third chance to make a difference and on Saturday night he did. Questions will be asked over the next coming days of the men’s 100m result but the sport is back in the sand pit and must do more to get it back on track. What are your thoughts from the men’s 100m outcome?